After saying he does not need rest anymore, Buhari has cut down his workload heavily. He has spent just three to four hours in office since his return and has not attended any event outside the villa. He only works on one item on his agenda per week, according to a report by The Punch Newspaper. Nigeria has always been an architect of negative activities in terms of breaking records. This new development has introduced a new wave of order in the Nigerian leadership system. The incumbent president returned on the 10th of March after 50 days medical vacation and instructed his vice San Osibanjo to continue acting as president. Aso rock now houses two presidents as one is docile and the other acting. The Nigerian aged and ailing president is unwilling to relinquish power even when his incapability is evident. He wants to keep power, be in control, as well as keep on enjoying the taxpayers' money. One might begin to wonder if Nigeria is practicing any form of government at all. 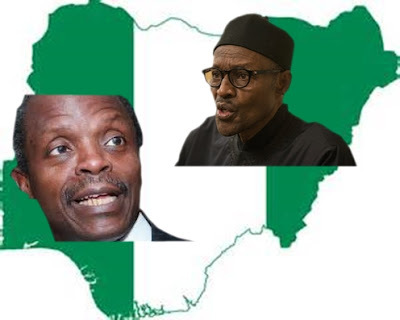 Does the presidential seat belong to a particular sect? Yet, no one is opposing or talking, what a sham of a country! I am glad that I am a Biafran. Biafra has gotten quality leaders and topping the list is Mazi Nnamdi Kanu, who is presently setting an example for all ages by suffering for what he believes in. A distorted Nigeria is ever disorganized and nothing is done appropriately in her. Must a tired, sick, weak and freaked out fragile grandpa occupy the seat of power? What can he offer his subjects? Who gains more from this unfortunate arrangement? Yet, the cabal rules with authenticity. This is the more reason we should energize and strategize earnestly for our beautiful Biafra. A country where progress will mark her beginning and success her continuity. Nigeria's doom is definitely pronounced with two sitting presidents running her. Analysis on why the incumbent president refuses to relinquish could be tagged as nothing but a bad omen for Nigeria's economy and otherwise. We look forward to our emerging African wonder, Biafra, a nation at the trigger of the continent of the gun. Therefore, let us set on our oars because, with this Nigerian system, the boat is rocking and can scatter and sink at any moment. We need to be prepared so we will not be caught unawares. We must solidify our exit plans and strategies. We must plan more actions which must be vigorously pursued continuously projected nationally and internationally. We must not relent in our efforts in anyways but work continuously towards achieving our goal, preparing ahead as soldiers on duty posts ever battle ready, not confused, distracted, nor discouraged.